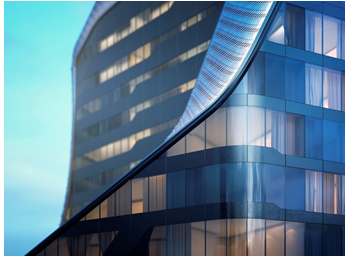 The building is a unique “infinity” layout in plan; it consists of an 8 storey high end retail podium and a 6 star hotel tower (25 storey). The external cladding of the building will be extruded the aluminum shingles that will provide a unique moiré effect. 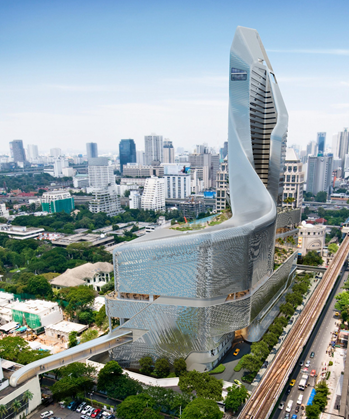 A major retail and hotel complex in central Bangkok, Thailand. 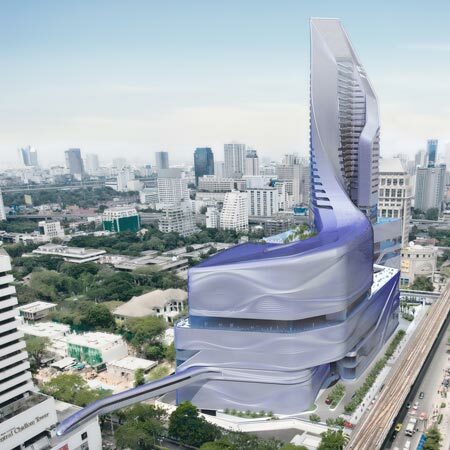 Central Embassy, located on Bangkok’s primary commercial artery Ploen Chit Road, will be a new architectural landmark for the city and region. The 1.5 million sq ft project will occupy the former gardens of the British Embassy in Nai Lert Park, and will consist of a 7-storey retail podium and a 30-storey 6-star hotel tower. Meinhardt are providing Façade and BMU (Building Maintenance access Units) consulting services for the new Central Embassy building which is located on the old British High Commission site.